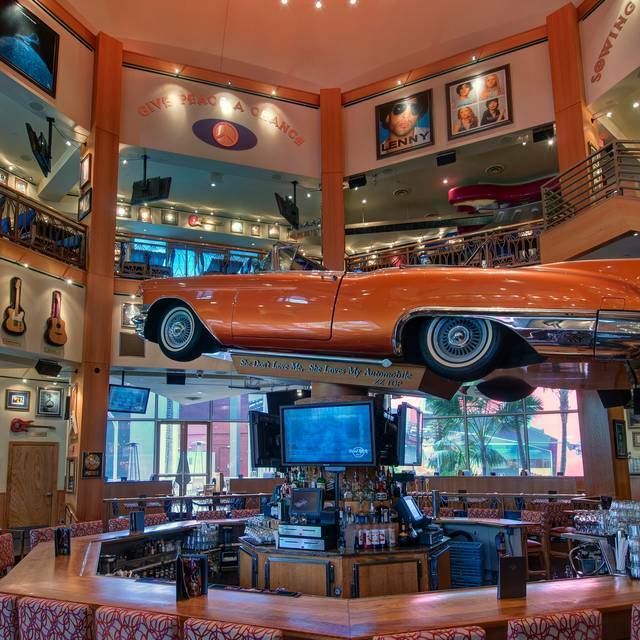 Our two-story Hard Rock Cafe - California Universal City (Hollywood) has been impressing visitors and locals alike since 1996. 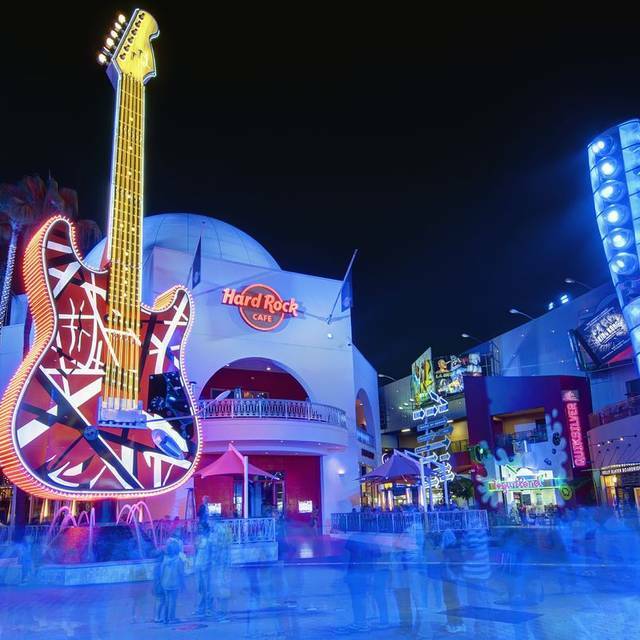 From outside, you’ll marvel at the Taj Mahal-influenced building and the giant guitar fountain that serves as a CityWalk landmark. 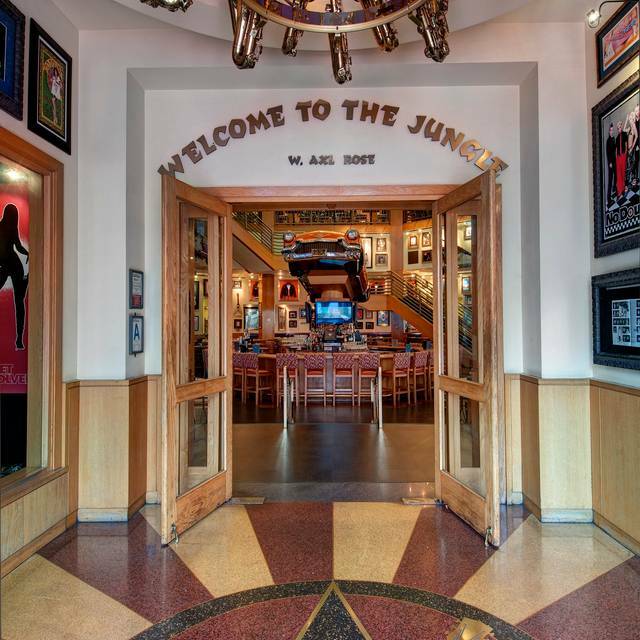 As you enter, you’ll be immersed in a world of authentic music history with famous guitars, clothes worn by your favorite artists, and a revolving 1957 classic car perched over the center bar. 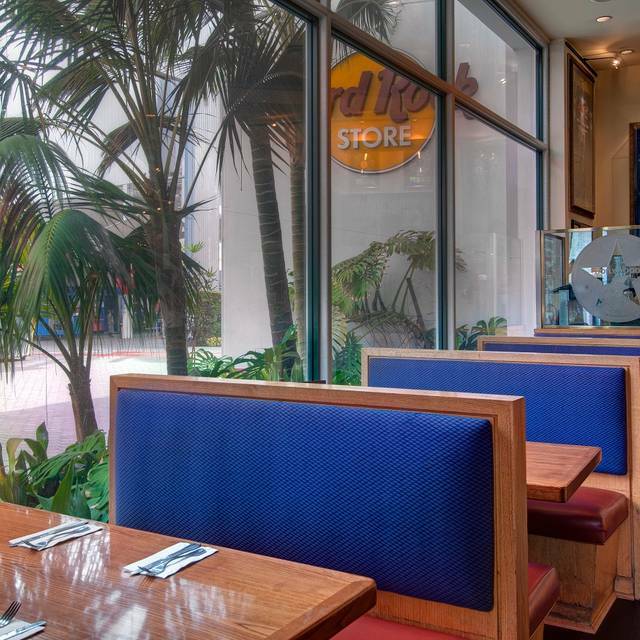 Whether you are looking for a place to relax after exploring Universal Studios, or want a delicious meal before hitting the nightclubs, our Hard Rock Cafe is just what you’re looking for. 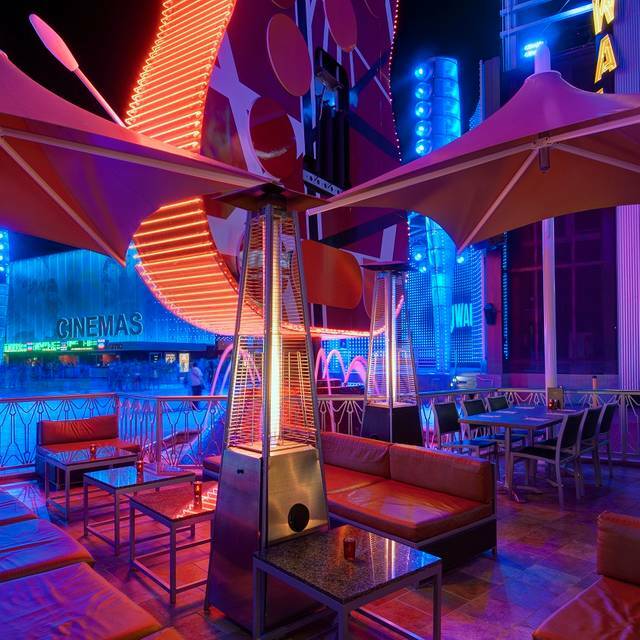 We are conveniently located in Universal CityWalk — a hub of restaurants, entertainment options, and nightclubs. 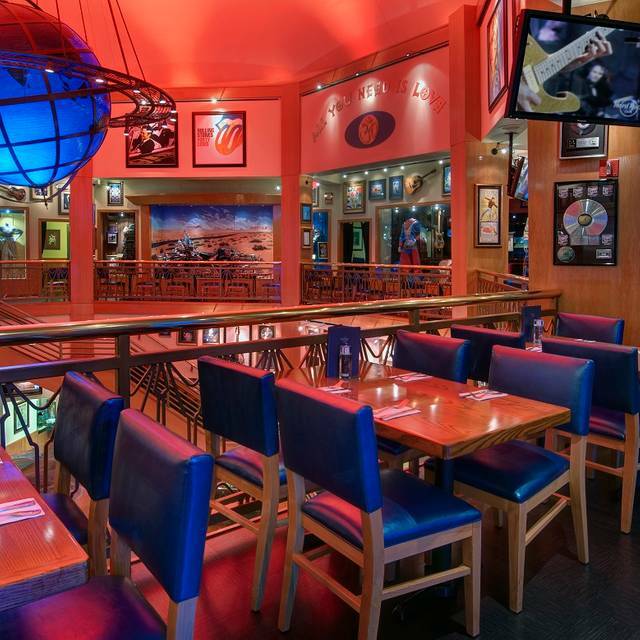 Hard Rock Cafe Hollywood at Universal CityWalk offers a special experience for foodies and music lovers alike. Our entrees are made with locally inspired flavors you'll love. Show your admin they rock, and treat them to lunch for Administrative Professionals Day. Make a reservation from 11 AM to 2 PM on April 24th and receive a complimentary Flatbread Appetizer. Join us for a night of Mariachi and Margaritas! Reserve your table NOW! Join us on April 20th for Breakfast with the Bunny! Visit our facebook for more information! Food was delicious and staff were super friendly. Manager gave us a $15 discount for doing an online survey and price was reasonable anyway. Sharon, thank you so much for the awesome feedback and review! So happy you enjoyed your time with us recently! We cant wait to see you again soon for another awesome time! Our server was fantastic! He made us all laugh after a whirlwind day at Universal. Food was excellent! We hope to visit again soon. Thanks for the awesome review and great feedback! We cant wait to have you back again soon for another awesome experience! Tables were very close together. Food took forever to get. No drink refills the entire time. I am so sorry to hear that you had such a poor experience with us recently. This definitely does not sound like the 5 star experience that we strive to provide for every one of our guests. I do appreciate the feedback so that we can better the quality of our service in the future. Please feel free to contact me, my name is Ryan Payne, at 818-853-0600 to discuss your recent visit further. Waitress was attentive, yet slightly forgetful. Please check your bill also to make sure everything is charged correctly. the food came out in a timely fashion. the server was attentive and suggested items of interest. Jeff, thank you for the review and feedback! We hope to see you again soon for another 5 star experience! Had fun. The food was great and we didn’t have to wait to get in. Thanx Open Table! Thanks for the awesome review and feedback! Glad to hear you had a great time! We hope you come back and visit soon for another great experience! We went for St Patrick’s Day and we were slightly disappointed that they didn’t have any green beer to celebrate the holiday. Our service was okay. Our drinks took a long time to come out along with additional condiments that were requested. Shockingly the restaurant wasn’t busy with it being a holiday and all so I’m not sure why the service was so mediocre. Yavonne, I am so sorry to hear you had such a poor experience with us recently! That does not sound like the 5 star experience we strive to give everyone of our guests, so for that I apologize. My name is Ryan Payne, I am the bar manager here, so I really appreciate the feedback so I can address it with my team. Please feel free to contact me at 818-853-0600 to discuss this further and see how we can make this right. We love the Hard Rock and this time visiting the service was great. Our server was so nice and thoughtful, just a great guy. Thanks for the review and feedback! So happy to hear you had a great time! We hope to see you back again soon for another awesome experience! Angela, I'm so happy you had such a good experience with us recently! We hope to have you back again soon for another awesome time! Good food, server and host were friendly, overall fun and relaxing people watching on the patio. Thanks for the review! Glad to hear you had an awesome experience with us! We hope to see you again soon for another great time! Lisa, thank you for the review and feedback! I'm glad to hear you enjoyed your time with us! We hope to have you back again soon for another awesome experience! Fantastic atmosphere. Brilliant bar staff. Brilliant server's. Food was delicious. Cocktails a must. Angelina, thank you for the feedback and review! We hope to see you back in again soon for another awesome time and some more great drinks! Food was mediocre. I had the grilled chicken sandwich. It was very dry and only had a tiny squirt of honey mustard. I had to ask 3 separate times for a side of sauce. Also my top bun was burnt. My daughter had the same thing and her bun was fine. The best part about this restaurant was the atmosphere. Probably will not come back as the prices are high for the food and service you receive. Denise, I am so sorry to hear about your recent experience with us. That is not at all the standard of service and food quality that we pride ourselves on here at Hard Rock Universal, so for that I deeply apologize. I would love the opportunity to speak with you further about the experience and to see what we can improve on, to better our guest experiences in the future as well as see how I can make this right with you. My name is Ryan Payne, and I can be reached at 818-853-0600. Great atmosphere. 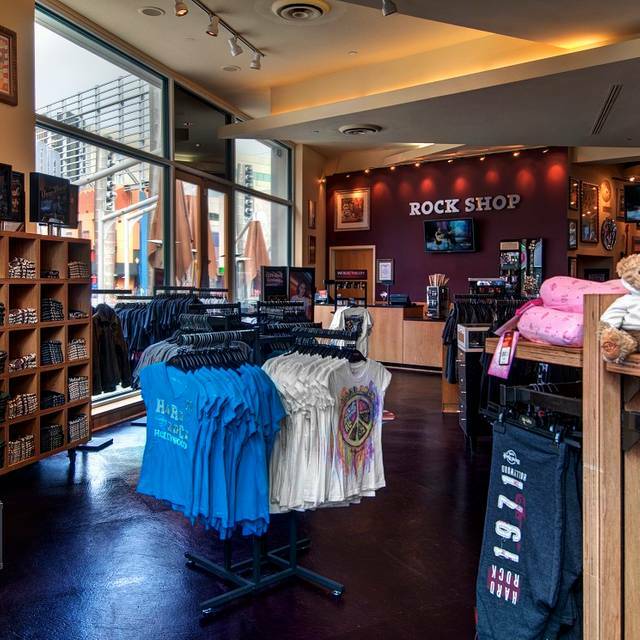 All the rock and roll memorabilia on display really sets the tone for what to expect. The music was great, the service was great and the food was great. Thanks for the awesome review! Happy to hear you had a great time, we hope to have you back in again soon for another awesome experience! Great food and service. Ribs are a must have on the menu. Derek, thank you for the awesome review and feedback! We just changed the recipe on the ribs and I agree, they are amazing! We hope to see you back again soon for another awesome experience and some more great ribs! Timothy, thank you for the glowing review and awesome feedback! I am so happy you enjoyed your time here with us and that Nick really knocked it out of the park. He is our newest server here so I will make sure to pass along your kind words. We hope to see you back again soon for another amazing experience! The atmosphere was neat, however we did not have good service. The waitress never offered to refill our drinks, I had to ask. Then I also let the waitress know it was my Daughter's 16th Birthday, however nothing was done, even though I witness 3 other people get a birthday dessert along with the waiters singing Happy Birthday to them. We were basically blown off. Then the waitress drops off our check and doesn't even ask if we want dessert. I ended up taking my family to the Ben & Jerrys ice cream store nearby. I was very disappointed about that. Was definitely not worth what I paid for a special Birthday dinner for my daughter. I will not be returning there again. Hello Joel My name is Ryan Payne, I wanted to again say how sorry I am about the poor experience you had with us recently. As you know, I have contacted you via email and phone so we can make this right and discuss your visit further. I look forward to speaking with you soon. Michelle, I am so happy to hear you had such a great time with us! We can't wait to have you back in again soon for another awesome experience! Thank you for the review! Always love the Hardrock Ambiance but the food here was poor quality and extremely expensive for standard American.. definitely a tourist trap. STAY AWAY! Rory, I am sorry to hear that you had such a poor experience with us recently. I do appreciate your feedback and review, so that we can work on bettering our service, food, and overall experience for future visits. Please contact me at 818-853-0600, my name is Ryan Payne, I would love to further discuss your recent visit and to improve on the areas we fell short. 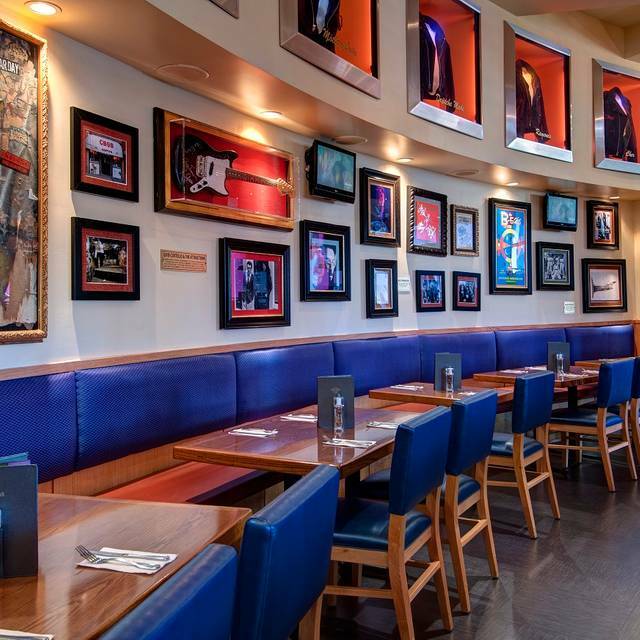 I would also love to have you back in again soon, to give you the quality food and experience you have come to expect from Hard Rock. Thanks for the review and feedback! We cannot wait to have you back in again soon for another awesome experience! Thank you for the review and your feedback. I apologize that your reservation was not honored in a timely manner per our standard here at Hard Rock Universal. I do appreciate this feedback so I can address this with my host team. I hope to have you back in again to give you the 5 star experience you expect and deserve from us. Please feel free to contact me at 818-853-0600 to discuss your recent experience with us further, my name is Ryan Payne. Celebrated my birthday there with some of my team/family from my stunt team. Turns out some of our members trained with our server. As more of our guys came in... more people knew eachother and there was no dispute pulling up more chairs. Food was great... highlight of the evening.... gave me a happy birthday cheer mid way through..... def going back.... great staff, service, place!! Thank you for the review and feedback about your recent experience with us! I am so happy to hear you had an awesome time! We cant wait to have you back in again soon for another great experience! Our server was very attentive and friendly. The service was great. The food was good but it did take a little long for our food to come out especially when the restaurant wasn’t busy. Thank you for the review and feedback! I am happy to hear that you had a great time, but I do apologize about the delay on your food. We would love to have you back in again soon to provide to you the timely food service that we pride ourselves on. We hope to see you soon! Service was great, food was good, prices were steep. Overall great experience for my birthday and it was the great service that made it all worth it. Thank you for the review and great feedback! Happy to hear you enjoyed an awesome experience here for your birthday! We hope to have you back in again soon for another great time! Thank You for the 5 Stars!! You Rock! They we're extremely busy and had a major problem with their computer system, and orders got a little screwed up and took awhile. But they were extremely appoligetic and did what they could to make it right. The food was not that great though. Not bad but not great. Our group had a wide range of food choices and all seemed to be a bit bland. Our waitress in the beginning was covering a break and she could care less about it, but our waiter came back and he was very pleasant. Kelly, thank you for the review and feedback! I apologize that your experience was not up to our normal standards of Amplified Service, as well as the food not being rave worthy. I will address these issues and hope that you come back and give us another chance to blow you away with a 5 star experience. Thank you again! Great service by our service Christian. Very effecient and attentive. Food is delicious and wonderful fun ambience. Great food and service. Music wAs too loud. And we had a seat by the entryway which proves to be drafty and cool. Thank you for the awesome review and your feedback! We hope to see you back here again soon for another great time, and a warmer, quieter table. Great trip to the HRC, great burger as usual! Thanks for the awesome review! Glad you enjoyed your burger, and your experience with us recently! We hope to see you again soon for another awesome time! Thank you for the wonderful service. From our service to Armando, everyone was wonderful. Looking forward to coming back. Thank you for the feedback and review! I am happy to hear you enjoyed your time with us, and hope to see you back again soon for another awesome experience! Thank you very much for your feedback. I deeply apologize that you had such a terrible experience with us due to the live music we chose for the night. We tried to do something a little different this New Year's Eve, and it clearly did not make the impression that we would have hoped for on a good amount of our guests. I really hope that you will give us the opportunity to make it up to you and give you the awesome experience we strive to give all of our guests. 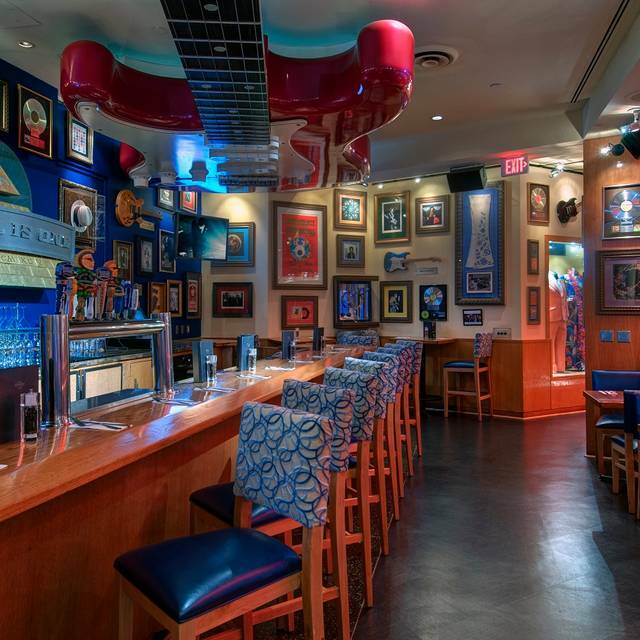 You know what you are going to get when you visit a Hard Rock Cafe. Quality American fare at a reasonable price. The vibe is usually good and the atmosphere is fun. It is also like visiting a museum, to some extent. Plus, where else can you still see classic music videos?!? Ronen, I am happy to hear that you had a wonderful time with us recently. Thank you very much for the review and your kind words, we hope to have you back again soon for another great time! Chris, thank you so much for the feedback! We actually recently revamped our menu, so any amount of feedback we can get on the new recipes is much appreciated! I am very happy to hear you enjoyed your beer and your service, but I wished you enjoyed the food just as much. We would love to invite you back in to change your mind on the food and make sure you leave satisfied with service, drinks, AND food. Thank you again for the feedback. Great service and food, we ordered the burgers that’s what you’re supposed to do here. Austin our server was exceptional, as was the bar manager who visited our table to talk about his Manhattans. Sitting in the circular bar area is a great place to be here! Thanks for capping off a great day at Universal! Thank you so much for the feedback and awesome review! I will pass on your kind words to Austin. We cant wait to have you back in again soon for another great time! Friendly, knowledgeable, personable, awesome staff! Lots of fun, Merry christmas! It was too loud to have a conversation with the people at the table. Everything else was good. Food was great, our server was outstanding but the music was so loud we couldn't talk to anyone at the table so we ate as fast as we could and got out of there.